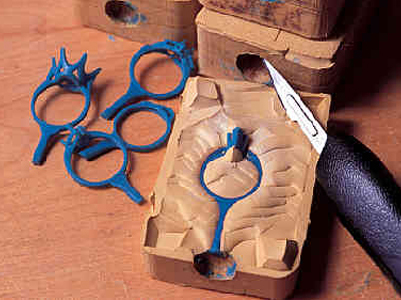 Model (Piece of Jewelry that you want to make a mould out of) is embedded within a sandwich of natural rubber sheets. The whole assembly is then placed in a heated press where the rubber around the model is compacted by a combination of heat and pressure and cures the rubber to a stable condition. 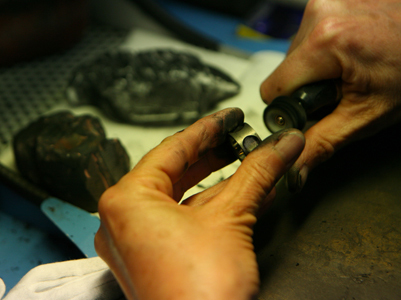 Wax replicas are produced from the completed moulds. Those wax patterns are generally produced by injecting liquid wax, specially formulated for the process, at 7 pounds air pressure into a master mould and allowing it to solidify under pressure. 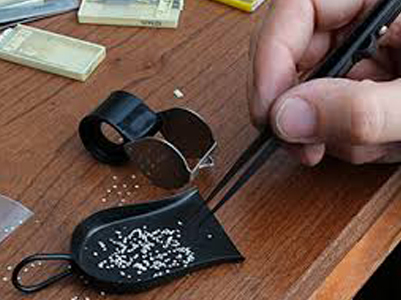 Raw diamonds are probably sorted first as to color and clarity, those being the highest-value natural characteristics. 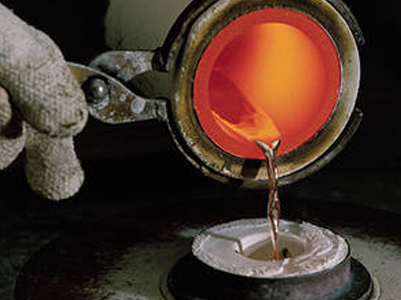 Method of “Setting Stones in Wax” is one of the most revolutionary advances in recent years. 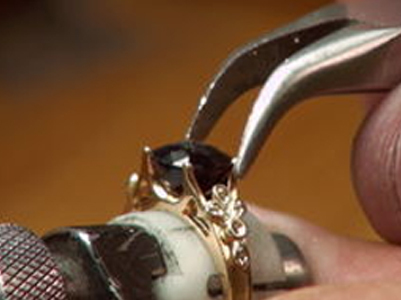 Assembly is the process wherein the components of a piece of jewelry are assembled together. 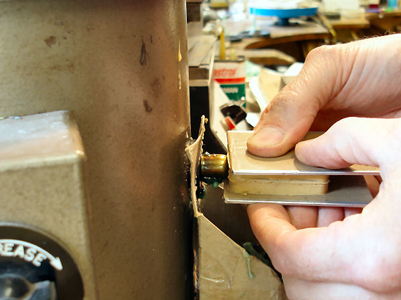 For instance, two toned rings or rings with mounts would require sub-assemblies. 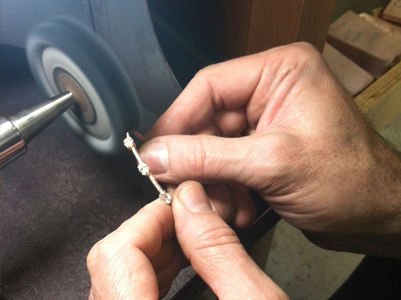 In some cases where the piece of diamond is a bit big it is set with manual help. The reason of such requirement is that machines deal with a standard size of diamond and in case of specific size and cut a manual setting is required. 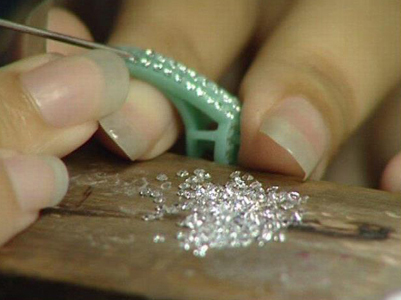 This is the final polish of the piece of jewelry. 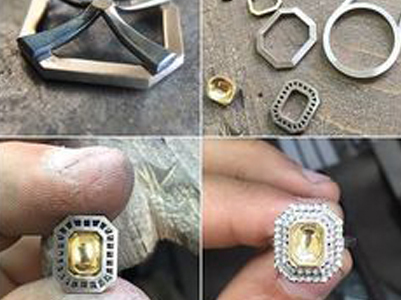 The idea of polishing is to add shine to the entire piece of jewelry. Rhodium is a sparkling white colored precious metal. 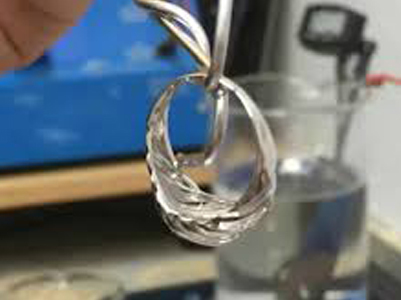 When a piece of jewelry is plated with rhodium, it gives a white reflective appearance and provides the jewelry piece better resistance to scratches and tarnish.